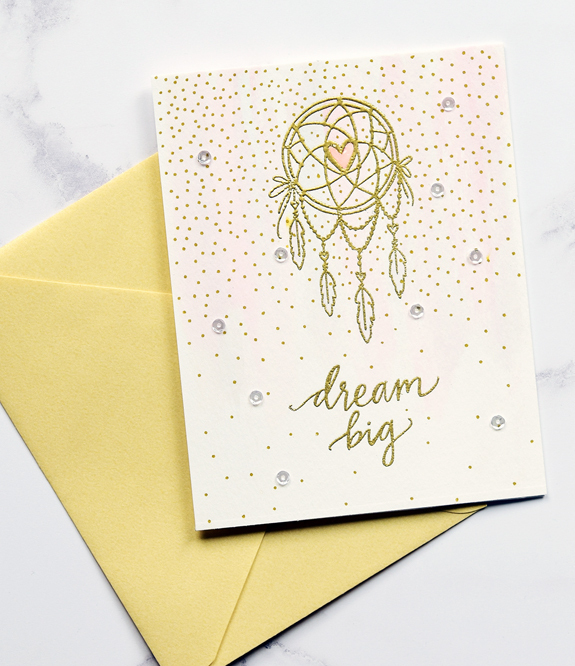 This card is uses Reverse Confetti's Boho Vibes, a set that is perfect for graduation and encouragement cards. Nice big images and sentiments. Embossed in gold on watercolor paper. Lightly painted the top 2/3rds of the paper with pale gray, pink, and blue. Added the gold dots with a Faber Castell Pitt Artsist pen in Gold. It's a great gold pen, but make sure your paper is dry before using. Added sequins and some glossy accents on the heart. I connected with Jen del Muro, owner of Reverse Confetti, on Facebook. Jen is currently undergoing chemo for breast cancer and, in the middle of all that, sent me a big package of Reverse Confetti products. Who does these things? Jen. I mean is that awesome or what? 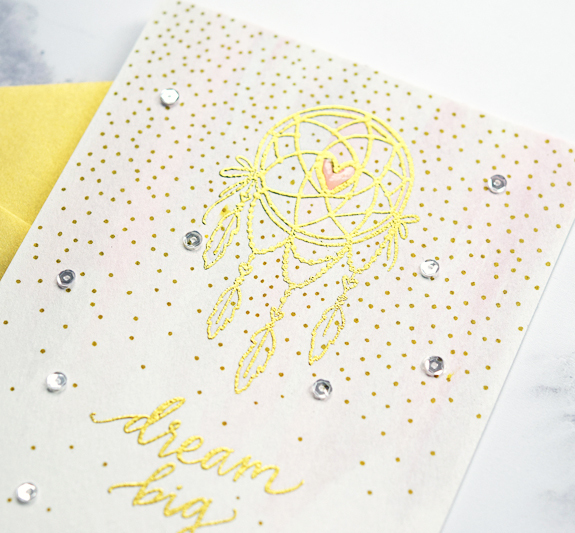 If you are not familiar with Jen or Reverse Confetti, you can find out more by checking out a blog hop to support Jen that was held in February. You can read about Jen's cancer, her hashtag #beastmode, and see a lot of great cards starting here. You'll be seeing more of Reverse Confetti on my blog (using what Jen sent and the stuff I just ordered!). I did not know Jen del Muro was the owner of Reverse Confetti. I'm sorry to hear of her breast cancer. I'm way out of the loop by not being on Facebook. Your card is beautifully done with all the gold and, of course, the sentiment and image are perfect together. Joan, this is awesome. Loving all that gold! Jen is Fabulous, isn't she?! !